The end-to-end laytime job is very much about Attention To Detail (or ATD, as the punctilious call it) by the people who need to sit down with some pretty sharp focus and take all the information from the voyage documentation. Then, remain razor-sharp and ensure correct transformation into a thorough Laytime Statement which, after various tedious counters, fairly does allocate the time and thence the value in what could only be described as a deep dark sea. 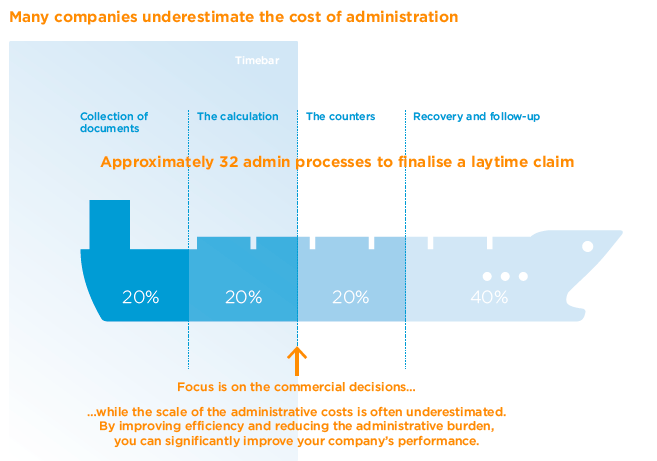 Can end-to-end management of all – or part of – your laytime process benefit your business?